King Mohammed VI says Rabat is willing to consider initiatives brought forth by Algiers to break political stalemate. King Mohammed VI of Morocco has expressed his readiness to hold talks with neighbouring Algeria, a long-time regional rival. In a speech delivered on Tuesday, the king said dialogue was necessary to overcome the two countries’ differences, as he proposed setting up a joint political consultation mechanism to resolve the ongoing dispute. “I should like to say today, in a very straightforward and responsible way that Morocco stands ready for a direct and frank dialogue with our sister nation, Algeria, in order to settle the transient and objective differences impeding the development of relations between the two countries,” the 55-year-old monarch said. The king added that Rabat is willing to consider initiatives brought forth by Algiers to break the political stalemate and restore full ties, including the re-opening of land borders. The border between Morocco and Algeria, which runs for about 1,600km, is one of the longest closed frontiers in the world. Algeria shut its border with Morocco in 1994 after Rabat imposed visa regulations on Algerian visitors in the wake of a deadly attack on the Atlas Asni Hotel in Marrakech. King Mohammed said the joint consultation mechanism would allow both countries to analyse the issues at hand in good faith “using an open-ended agenda, without conditions or exceptions”. The king’s televised address came on the 43rd anniversary of the Green March when thousands of Moroccans marched on Western Sahara demanding an end to what they saw as Spanish occupation of Moroccan territory. While the Spanish government voluntarily relinquished control of the area in 1975, the Polisario Front, a secessionist movement backed by Algeria, began calling for the right to self-determination. Rabat maintains the territory is an integral part of the country. This has been a major bone of contention in relations between the two states, both founding members of the Arab Maghreb Union comprised additionally of Mauritania, Tunisia and Libya. 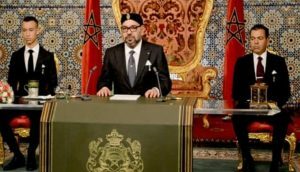 On Tuesday, Morocco’s king hinted that his country’s position would remain unchanged and that its decision to join the African Union a new – after an absence of some 33 years – was informed by the country’s African identity and is not aimed at defending its position regarding Western Sahara. “[…] No stone is being left unturned in the pursuit of progress in our Southern Provinces under the new development model. 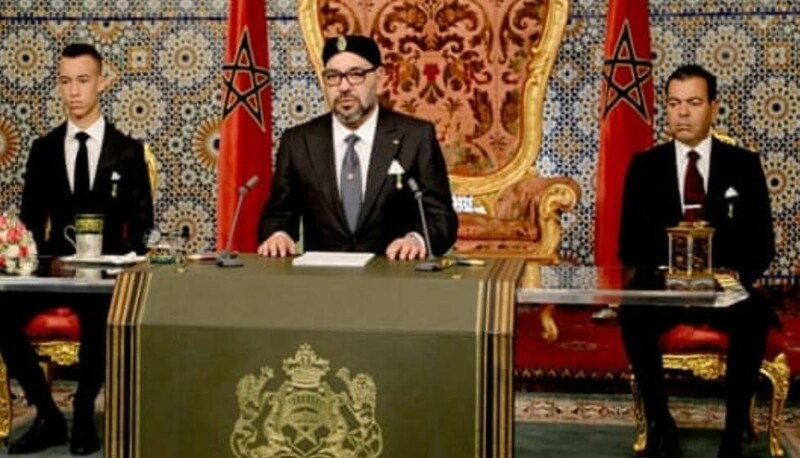 The aim is to make sure the Moroccan Sahara can once again play its historical role as an effective link between Morocco and its sub-Saharan African roots, be it from the geographical or historical perspective,” the king said.